This 17 piece large ensemble is a staple each and every year at the Scranton Jazz festival. The Festival Big Band is reminiscent of the great big bands of yester year. Bands such as Woody Herman’s Thundering Herd, The Buddy Rich Big Band, Duke Ellington, Count Basie, Stan Kenton, and Maynard Ferguson are major influences on this great collection of all-star musicians. Basically sight-reading charts and entertaining with fantastic enthusiasm, this outstanding band traditionally closes the festival’s main stage with a powerhouse sound. 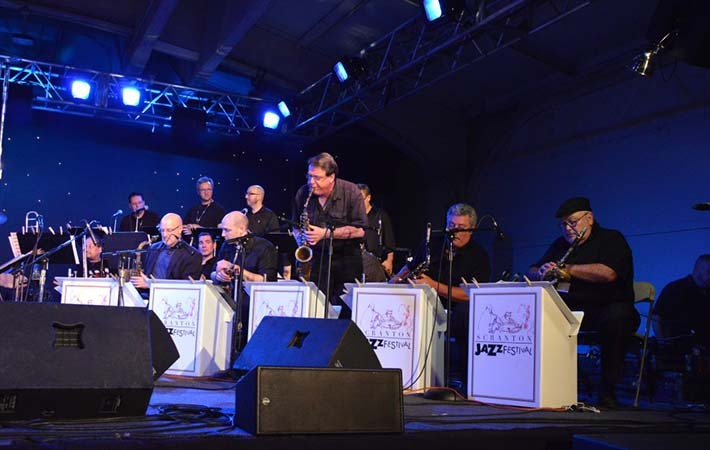 More recently the Scranton Jazz Festival Big Band has added performing the amazing “Jazz Nutcracker Suite” by Shorty Rogers and Duke Ellington to its year round performance schedule.